Golf wedges are always handy when playing from the fringe, fairway or rough. 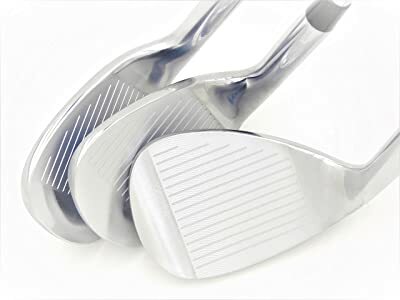 And so you need to have a few of them for your set to be complete, and if you are shopping for them on a tight budget, LAZRUS Premium Forged Golf Wedge Set has you covered with this highly affordable set of three. Golf wedges are always handy when playing from the fringe, fairway or rough. And so you need to have a few of them for your set to be complete, and if you are shopping for them on a tight budget, Lazrus has you covered with this highly affordable set of three. 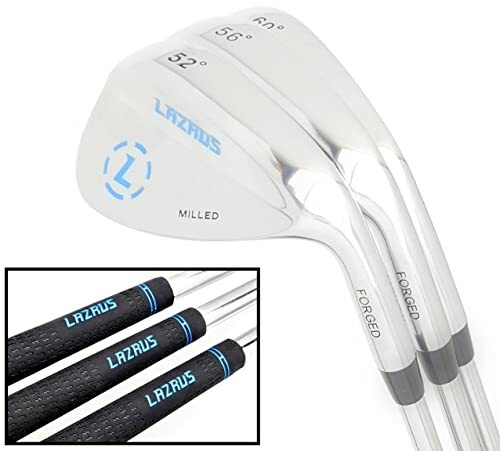 LAZRUS Premium Forged is one of the cheapest sets of wedges you will get anywhere, but besides the highly affordable price, the three 52, 56 and 60-degree loft wedges are also well-built. Their construction features a forged head design, Micro-Milled Face and Stepped Steel shafts. And each of the wedges also has a comfortable and firm rubberized grip that makes it even easier to swing. Micro-Milled Face: The key highlight of these wedges is their micro-milled faced, and it is a great feature that is designed to offer great spin and more control and do it consistently whether it is from the fairway, rough or fringe. Forged Head: The forged head design of these wedges is meant to be both highly durable and high-performing, and it is made from the same factory that makes some of the top brand wedges in the market. Grip: With a long enough and rubberized grip, these wedges are designed to be highly comfortable and firm to hold. For most golfers, the Lazrus grips should be more than enough and they will not need any lizard skin or rewrapping. 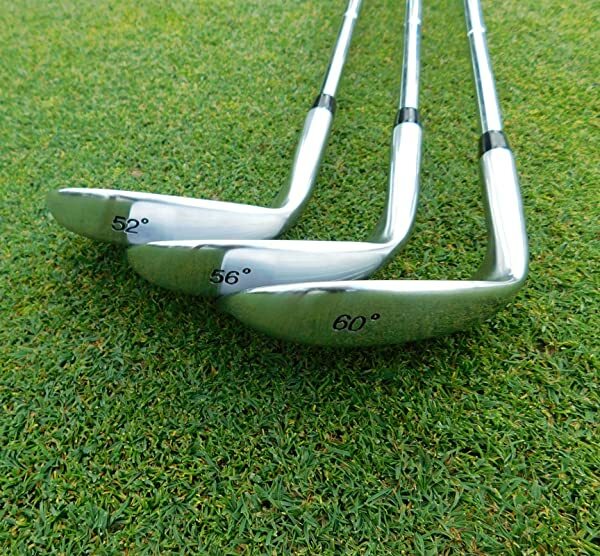 Loft and Bounce Angle: These are progressive loft wedges that come in 52, 56 and 60-degree loft angles to ensure that each of them will be ideal for different situations. For the bounce, you get 8, 10 and 12 to make the wedges great for all skills. Shaft: For the shaft, Lazrus uses stepped steel which is not only highly durable but is also designed to be stiffer which is what many golfers are looking for in a wedge shaft. For a set of three wedges, it is hard to think of another brand or model that will offer you better value than this. In fact, the three wedges will cost a fraction of what you would pay to get a single wedge from one of the top brands. But, besides being more affordable, these are also high-performing and durable wedges that will offer more distances and are also easy to swing and are forgiving even for the high-handicappers and beginners. The spin and control that you get are also fantastic and it is almost as good as what other wedges that cost several times what you pay for this set will offer. And if the performance is not enough reason for you to try them, then the impressive look with simple graphics is a good excuse to try them out. Although they seem to chew on balls, this is not a major shortcoming as you can solve it by improving your approach and the heavier weight only takes some getting used to. All in all, this golf wedge set is a great buy.